Betsy and Gary Jenkins’ devotion to their community earlier earned the couple recognition by the Laguna Beach Arts Alliance. The Woman’s Club of Laguna Beach will honor Betsy Jenkins as Woman of the Year on Friday, June 15. 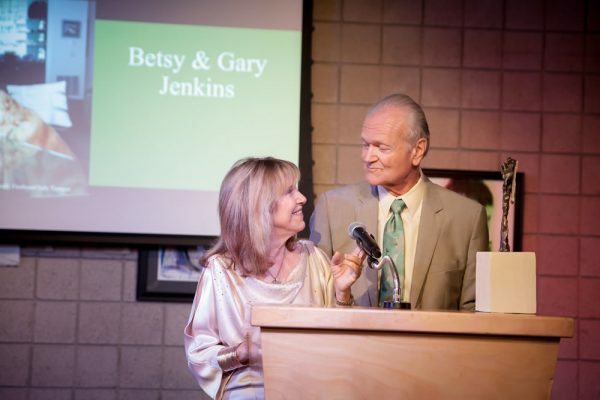 Jenkins has served as a volunteer for the Laguna Art Museum, the Laguna Greenbelt, the Pacific Symphony, the Sister Cities program, and Laguna Beach Live!. She was also a PTA leader, involved with School Power and served 12 years as an elected member of the Laguna Beach Board of Education where she completed two terms as board president. Laguna Beach summer trolley service starts Monday, June 18. Daily routes include canyon service running from 8:30 a.m. to 11:30 p.m. and Coast Highway service running from 9:30 a.m. to 11:30 p.m. Starting June 29, the expanded neighborhood trolleys will also start for the summer with the following schedule: Monday – Thursday from 6:30 a.m. to 8 p.m., Friday from 6:30 a.m. to 11:30 p.m., Saturday from 9:30 a.m. to 11:30 p.m. and Sunday from 11:00 a.m. to 11:30 p.m.
To track the real-time location of trolleys and buses and their anticipated time to stops and pick-up points, please use the Visit Laguna Beach mobile app Trolley Tracker. More info: lagunabeachcity.net/trolley or call 949 497-0766.
: The view from Barbara’s Lake, part of the lands preserved from development now within the Laguna Coast Wilderness Park. Village Laguna invites the public to a free screening of the documentary “50 Years of Preservation,” at 7 p.m. Monday, June 25, in the Susi Q Community Center, 380 Third St. 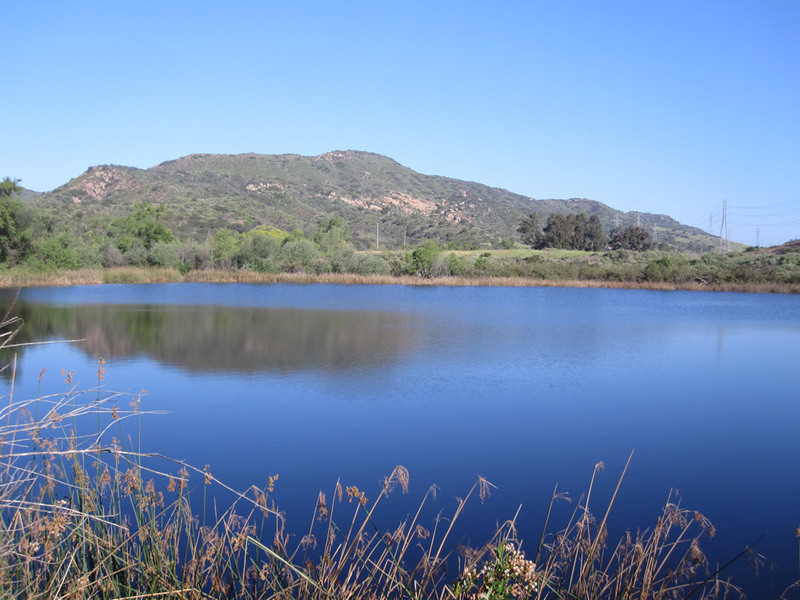 The film celebrates the creation of the Laguna Greenbelt, which works to protect wildlife. A former emergency physician discusses preventive medicine, anti-aging and skin health at the Laguna Beach Business Club’s meeting Thursday, June 21. Dr. Anita Wang speaks at 7:30 a.m. at K’Ya Bistro in the La Casa del Camino Hotel, 1287 S. Coast Highway. The meeting will begin with a buffet breakfast and networking roundtable; the guest fee is $30. Participants came from as near as across the street and as far as Oakland to experience World Peace & Justice Weekend at Neighborhood Church in Laguna Beach. 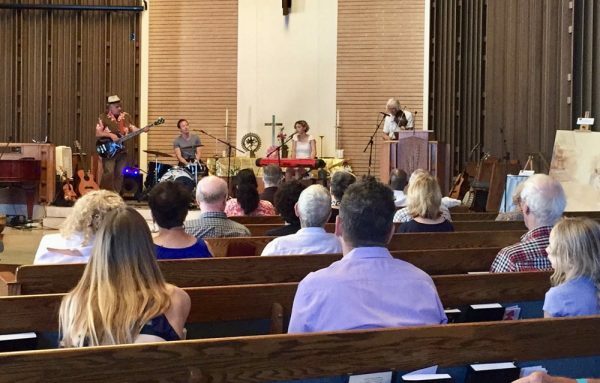 About 100 participants showed up for an array of talks, experiences and music and contributed $5,000 to support humanitarian, educational and social justice causes, said a statement. The local band Moon Police rocked the sanctuary during Neighborhood Church’s first peace and justice weekend of workshops.